With iOS 11 comes the iOS ARKit, which makes it easy for developers to create augmented reality apps for iPhones and iPads. So far, several developers have released AR apps of varying degrees of usefulness — such as a sudoku app that spoils the game — but one thing’s for sure: Twitter is having a blast with them. Here are some of Twitter’s best uses of ARKit apps, from creative furniture placement to floating money. 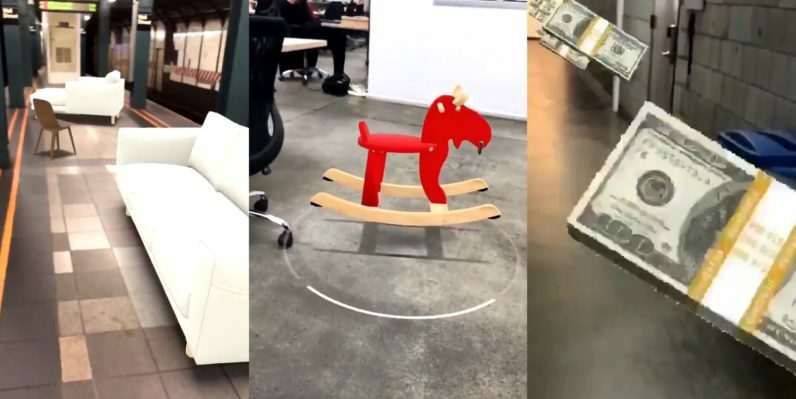 One of the most popular ARKit apps so far (if the videos on Twitter are anything to go by) is IKEA Place, an app which allows users to place virtual Swedish furniture in whatever space they’re in. What are your favorite AR apps for iOS 11? Let us know in the comments.